Often the answers to our workplace problems lie right beneath our feet. Why can’t we see them? As workplace supervisors, we wonder why we can’t get things done well by our employees. Is it because today’s workers are not trained or motivated? Initiative? Why can’t all our employees work as well as our best employees? Well, maybe they can. If we hire more employees who are just like our best ones. Here’s how. 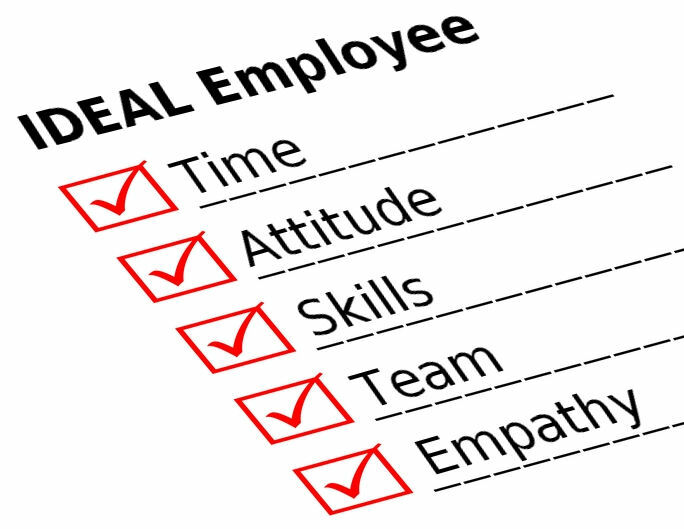 Use the IDEAL employee exercise to develop a list of the desired qualities in your next hire or promotion. Here’s how it works: Create a sheet with five columns; headings are: BEST, WHY, WORST, WHY, and IDEAL. 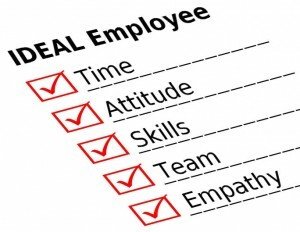 Write the names of your best employees in the first column and write their qualities in the second column. Write your worst employees in the third column and write their undesirable traits in the fourth column. When you’re done, copy the Best traits into the IDEAL column and write the opposites of the worst traits in IDEAL column. Voila! A list of the traits that define your ideal worker. I asked the 12 department managers of a luxury yacht builder to complete this exercise and give me their final worksheets. Analysis of the results showed five traits as being universally valued by all managers: a good time manager; a positive attitude; appropriate job skills; a team player; and empathy. Empathy is when you can sense the emotions of those around you. You can feel what they are feeling as though their feelings are your own. Intuitively, you are able to see the world through their eyes and share their perspective. You do not necessarily agree with each person’s perspective. You do not necessarily feel pity for each person’s predicament—this would be sympathy, not empathy. You do not necessarily condone the choices each person makes, but you do understand. This instinctive ability to understand is powerful. You hear the unvoiced questions. You anticipate the need. Where others grapple for words, you seem to find the right words and the right tone. You help people find the right phrases to express their feelings—to themselves as well as to others. You help them give voice to their emotions. For all these reasons other people are drawn to you. Together these five common traits can be remembered with the acronym TASTE. I call it the TASTE test for ideal employees. Use it to assess candidates for new positions and you’ll be assured of having the right employees. This method for identifying the Ideal employee for your workplace was developed by John Smithman, author of ‘the book’ for coaching champion supervisors, Workplace Champion By Example, available on Amazon book sites worldwide.